American film actor Michael Madsen, who was a member of the jury at the 2014 Pacific Meridian International Film Festival of the Asia-Pacific Region, revealed his personal views on life and the movie industry in an exclusive interview with RBTH. Russia Beyond the Headlines: You are a Hollywood actor but here you are on the jury of an independent film festival. Do you like independent cinema? 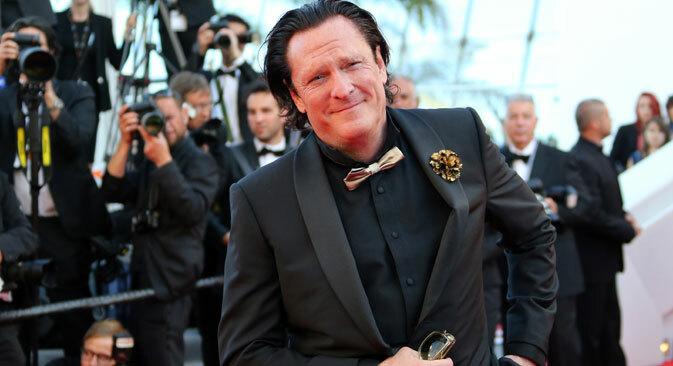 Michael Madsen: Independent movies are more interesting, and this festival is a rare chance for me to actually see them – some of these movies have never been released or have limited distribution. For me it was great fun. RBTH: How often have you visited Russia? M. M.: I’ve been to Moscow twice. And also this is my second time here, in Vladivostok. So altogether I’ve been to Russia four times. And every time I come, it gets better and better. RBTH: Has anyone told you at home that Russia is dangerous? M. M.: When my father heard that I’m going to Russia, he said “Be careful, man.” I understand, I would be careful anyway, anywhere. But everybody’s afraid of Russia. I think it’s because of those government things and I get it, but it’s not mine, I’m not a politician. And now I’m leaving Russia and I’m feeling sad, because I really like it here. It’s a long trip, man. It’s a long time to get there. Changing planes – it looks like you came to another planet. RBTH: You often play bad guys, do you like these types of character? M. M.: Well, it’s an entertainment. I do my job and if my job is to play a villain character, I’m going to do it as best as I can. I want to be effective and I’ll take it as far as you can go with it in Donnie Brascо, Reservoir Dogs, Kill Bill. You have to be yourself to a certain extent in a movie. And it’s a part of my personality, because I understand criminals – I was born and raised in Chicago and a lot of crimes were going on when I was a kid. RBTH: How is it to be a movie star in everyday life? M. M.: I live in Malibu. There are a lot of celebrities that live in Malibu, some much more famous than me. But Malibu is getting developed now, there is more business coming there and so there are more people coming, more strangers. So I see somebody who is a tourist and they come to Malibu and say ‘Oh, it’s Michael Madsen,’ and it’s terrible, especially on holidays – Independence Day, Memorial Day. There are many people and they approach very often. But the only thing which bothers me, when I’m with my kids – sometimes they try to talk to my children and I don’t like that. If you talk to me I don’t mind that but if you ask my kids questions it usually bothers me. RBTH: If you started your life again would you become an actor or choose another career? M. M.: I think I would have been happier as a race car driver. Hollywood is based on a system of personalities, studios and publicity. But racing is very competitive and it’s based on your talent, your skills as a driver. And it’s dangerous – it’s a lot more risky than being in a movie, let’s face it – and this danger is what I like about car racing. I like [former NASCAR driver] Richard Petty and I would like to be NASCAR champion ­- it would be wonderful. In this life, you have to find something that you like to do, that makes you really happy. Being a movie actor is not being happy all the time. I believe any job has its ups and downs. And a garbage man probably has great days. The worst thing is when people do something that they don’t like and they can’t get out of it. That’s really sad to me. If you don’t like what you do, man you should get out. Even if you have nothing to do, you should stop it. Because at the end you are the only person – nobody will do anything for you. I believe anybody can change the situation. RBTH: And if everything happened again, what mistakes you would avoid in your life? M. M.: I think I would not get married three times. I like my children, I’m a lucky man – I have five sons. That’s tremendous. But I shouldn’t have gotten married. I think, in America at least, a lot of people stay together and have children but they haven’t been married. And I just wonder if it’s a good idea. Because once you sign a contract, and time goes by, and you think you don’t really want to be together anymore, and then it’s a trap, you can’t get out. I don’t know who invented it. Who invented marriage? RBTH: In one of your interviews, you said you would rather live in another era. Why? M. M.: I don’t think people trust each other anymore and the world has become a much more violent place. I think a lot of family values in America are disappearing. You can't even spank your kids anymore! Then you go to jail. I’m not advocating beating children – this is just a small part of what I’m saying. They are taking away parental guidance. In general, this world has become a very distrustful place. When I was a kid, I respected my mother and father. And I don’t think kids do it anymore. At least in America. RBTH: What do you want to see in people, then? M. M.: I like people who are honest, even if they can tell me something bad about myself. I’d rather hear it. I try to be fair with people in every aspect of my life. I really appreciate a sense of humor in people. I haven’t always been a good dad, but I want to be, and I have been lately. And I try very hard every day to be better.